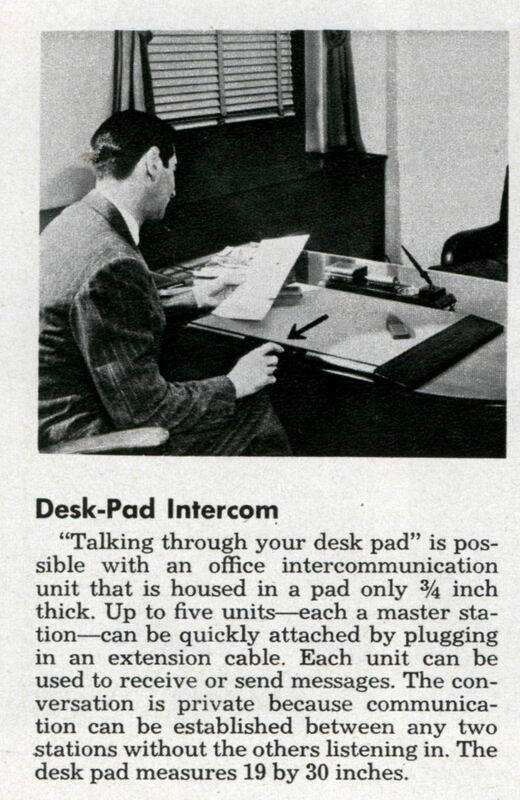 “Talking through your desk pad” is possible with an office intercommunication unit that is housed in a pad only 3/4 inch thick. Up to five unitsâ€”each a master stationâ€”can be quickly attached by plugging in an extension cable. Each unit can be used to receive or send messages. The conversation is private because communication can be established between any two stations without the others listening in. The desk pad measures 19 by 30 inches.